The Southwest Missouri Amateur Radio Club, based in Springfield, Missouri, was incorporated in 1956 as a "benevolent organization" with the purpose of service to the community. 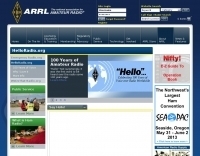 Joplin Amateur Radio Club - Information about the joplin amateur radio club. SMARC - The Southwest Missouri Amateur Radio Club, based in Springfield, Missouri, was incorporated in 1956 as a "benevolent organization" with the purpose of service to the community. W0AU Warrensburg Area Amateur Radio Club - Waarci - warrensburg area amateur radio club inc.
W0DCW The St. Louis and Suburban Radio Club, Inc.
W0KEN Hannibal Amateur Radio Club, Inc.